If you need a 12v power supply see the related items we have these as well. Great for use as under kitchen cabinets, Display lighting, shops, advertising signs, Bus, caravan and RV lighting. Boat lighting (inside only), channel letter lighting. Bar lights to light up bottle displays, Architectural lighting such as cove, pelmet, shelf, wardrobe and stair lighting. Easy to install as you can cut the strips to the length you need and join them back up with the clip on connectors that we stock. This makes it easy to bend around corners or install a new DC connector on a length of strip. 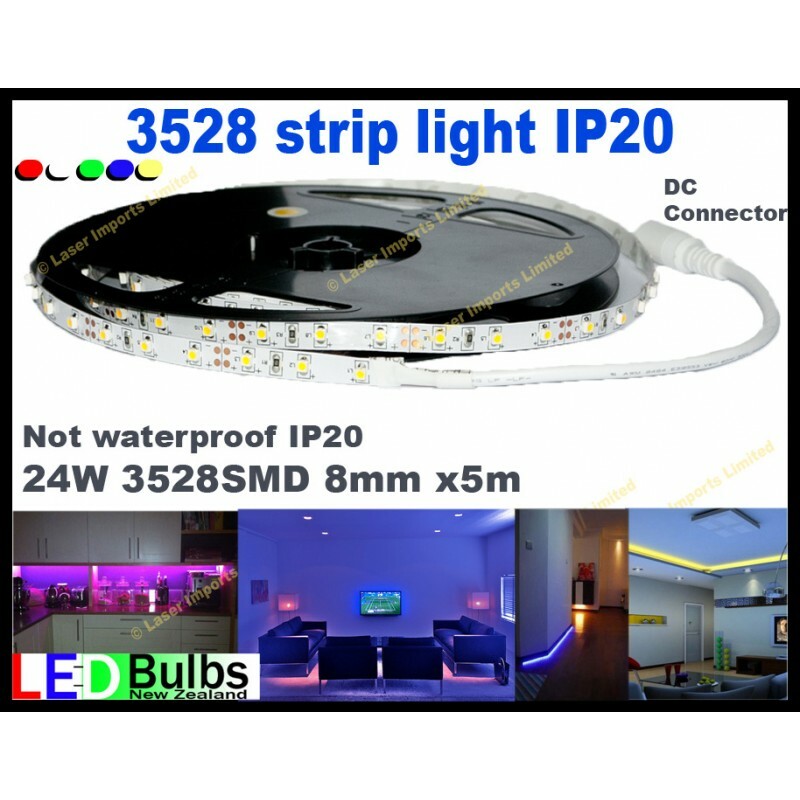 See my other listings for RGB changing colour strip lights, 5050 smd type strip light, wifi remotes, dimmers for these strips power supplies and other led lighting.